The Paleo Diet, also known as the paleolithic diet, is based around the idea of eating a diet as similar as possible to that of our hunter-gatherer ancestors in the paleolithic era. Therefore, the paleolithic diet involves foods that are nutrient-rich, such as plenty of fresh fruits and vegetables, eggs, meat, seafood, berries and nuts. By eating according to these early nutritional principles, our diet becomes more in line with the evolutionary factors that helped shape our present genetics, and it is said that these changes positively influenced our health and well being. Yes, and a lot of health benefits will come from a diet low in both refined sugars and processed foods. A recent Polish scientific study suggests that there is increasing evidence that the foods that were naturally hunted and eaten by our hunter-gatherer ancestors in the Paleolithic era, have been proven to both help and treat some chronic diseases. The Paleolithic Diet is a high protein, low-carb diet full of healthy fats. The paleo diet has a low sodium content and is rich in antioxidants, vitamins and minerals. Cardiovascular diseases:High blood pressure (Hypertension)and heart attacks (Myocardial Infarctions) and high cholesterol levels. Metabolic syndrome: especially type 2 diabetes. The Paleo diet plan helps to stabilize blood sugar in glucose tolerance and insulin sensitivity. Do people on the Paleo diet eat bugs too? You jest Moose, but many environmentalists today advocate bug eating as a viable protein source for the future to help deal with the growing population. Yes and a lot of bugs are VERY nutrient rich. I’ve eaten sky prawns. This is the new name for locusts to make them more appealing. Paleo Diet Weight Loss – How does it work? Well, research has shown that any low-carbohydrate diet, especially the ones that eliminate refined carbohydrates, processed food and sugar, will help with weight loss. Because the Paleo diet is based around organic, fresh fruit and vegetables, lean proteins and nuts, seeds and berries, many medical studies have shown that these types of foods will lead to weight loss. In a lengthy 2006 clinical study that involved a whopping 120,877 Americans, it was discovered that eating a lot of starches, processed foods and refined grains actually increases hunger signals and caloric intake when compared with consuming foods that are equal in calories but contain the healthy fats and proteins. Interestingly, a 2-year research study based on a group of patients with type 2 diabetes who followed the Paleo diet was compared with a control group who stuck to the traditional diabetes diet, found that the Paleo diet group felt fuller, or in more medical terms, ‘had greater satiety quotients’. The study concluded that the Paleo diet was ‘instrumental’ in weight loss. Yet another research study found that the Paleo diet had beneficial effects, for both the short term and the long term. Furthermore, participants following this stone age diet had decreased waist measurements (lost belly fat) and increased fat loss. What did the caveman order at the cafe? A Club Sandwich! The real diet from the palaeolithic period, according to some specialist claims, is that the diet our hunter-gatherer ancestors would have been enjoying was made up of foods that most of us would NOT go anywhere near these days. Paleo food included rodents such as rats, mice and even squirrels. In addition to much smaller fruits and vegetables that tasted quite bitter, the caveman also munched on woody stems, stripped bark and pith. Another vital part of the original Paleo diet was apparently offal including the stomach, liver, tongue, brains and wait for it … the eyes of animals. I know a good joke about Offal. I bet that it’s just a load of old tripe! Offal is awful … but the insects and squirrels … Euhhhhh! Why is it impossible to mimic the Paleo Diet? As mentioned earlier, bugs and insects, lizards, frogs, turtles and newts were also consumed. As off-putting as some of these foods are to the modern palate, they are very nutrient-dense food. Our ancestors did not have access to the mass farming of cows, pigs and chickens known today. It is difficult for us to know exactly what types of meat were hunted by our ancestors but it is fairly certain that it was not chickens and pigs. One of the problems is that many of the animals from that era are long extinct but it is thought that our hunter-gatherer ancestors will probably have hunted big game such as buffalo and antelopes. Their meat was fairly lean and supplied more healthy Omega 3 Fatty Acids than meats of the modern day, including exclusively grass-fed beef and animals. Likewise it is believed that a lot of vegetables and plants from the Paleo era are extinct today, or at least totally altered , making it almost impossibly difficult to replicate the original Paleo diet. In addition, our ancestors would have been eating wild-caught fish and meat which is very different to factory farmed. The key to the modern paleo diet is to eat foods that can be hunted or gathered. Yes, it is important to stick to organic, grass-fed meats and fruits and vegetables that are also organic. There are many variations of the paleo diet and how extreme you want to take it is up to you. What is on the Paleo Menu? The Paleo diet, also known as ‘The Hunter-Gatherer diet’ and ‘the caveman diet’ is NOT actually a diet in the true sense of the word. The Paleolithic diet, like the Dash Diet, is more of a healthy eating plan that closely fits with a lot of modern research into nutrition and healthy eating. It stands to reason that if you eat fresh, organic foods your health and well-being including your vitality levels will increase. What types of Food are on the Allowed Paleo List? The Paleo food list is packed full of healthy organic proteins, lots of nuts and seeds, tubers and fresh fruit and vegetables, and stresses the avoidance of all processed food including refined sugar, refined carbohydrates, all trans fats (particularly unhealthy corn syrup and vegetable oils). Some versions of the Paleo diet exclude all dairy products, but almond milk or other dairy substitutes can be used too. However, the Paleo eating plan is flexible and there are variations. A lot of the foods can be eaten as both healthy snacks or main meals. Fresh meats and fish:- Take your pick choose fresh and lean animal protein and look for organic products. Eggs: Eat only free-range eggs, or even better if you can, invest in a few chickens and feed them organically too. Vegetables: Eat as many organic fresh vegetables as you like. Fruits: All fruits: True Paleo eating involves eating seasonally so look out for fruits such as cherries, berries and tangerines as they come in to season. Tubers: Any vegetable that grows underground are known as tubers. Some examples include sweet potatoes, the humble potato, yams, cassava, and Jerusalem artichokes. Nuts and Seeds: Nuts are a very healthy choice full of healthy fats, vitamins and minerals and a good source of protein into the bargain. Some good examples of seeds are sunflower seeds, poppy seeds, sesame seeds or Hemp seeds. Healthy Fats and Oils: Change your cooking and use coconut oil, avocado oil or the classic olive oil. Salt and Spices: Add a whole assortment of fresh herbs and spices to your meals to improve flavour. I’m on that Paleo diet where you cut out all carbs, all sugar … and all happiness! The nutrient-rich foods of the Paleo diet are one of the perks of the Paleo diet but this eating plan, or lifestyle, comes with a huge paleo community. Many research studies have shown that community support aids weight loss, and this has been proven with the ongoing success over the years of diet clubs like Weight Watchers. 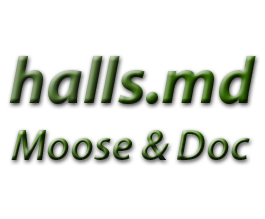 The Paleo Warriors, as they are known, have a strong community and internet presence with Paleo forums, Facebook pages, and even groups of people who meet up to discuss and enjoy living like a caveman in modern times. This sense of community is quite unique to the Paleo diet. Apparently you have to eat healthy more than once to get in shape … this is cruel and unfair. Do you have to give up all modern day foods on the Paleo Diet? A good rule for the Paleo diet eating rules is to avoid all processed foods. There are a lot of forbidden foods on the Paleo diet. These include dairy products, alcohol, soft drinks, processed meat, grains and legumes, snack foods and candy. Oh Look! Is that red wine I see above me? Is red wine on the Paleo diet food list? Some say so … I think the most expensive part of the Paleo diet is all the wine you have to drink. In addition to gathering foods, the Paleo people also hunted for meat. This fits in well with the latest research on high-intensity interval training (HIIT) whereby short bursts of intense exercise are accompanied by periods of recovery. This method of training mirrors more closely our early ancestor’s hunting habits and is said to both increase muscle mass and reduce fat. A cardio workout or aerobic exercise can be beneficial too and a mixture of the two is perfect. Eating Paleo diet foods is a good start but not enough in itself to truly cash in on all the health benefits of becoming a true Paleo Warrior. Exercising regularly is also essential. Exercise? I thought you said Accessorize! Medical experts in the field estimate that our ancestors probably took a 1:1 ratio of calories from paleo meats. Fruit and vegetables and berries would have been seasonal. It is important on a modern day Paleo to include plenty of fresh fruit and veg. However, many people do NOT realize this and eat too much meat on the Paleo diet. Regularly eating too much protein and not enough healthy carbs, such as sweet potatoes, can cause all sorts of health issues including kidney problems and osteoporosis. Furthermore, since most of today’s meat (even grass-fed meat) is higher in saturated fat, over-indulgence of meat can increase the risk of heart disease. I’m all for fruit, veggies, fish and all the other healthy foods. But please … not when I’m eating! Why is the Paleo Diet Difficult? The paleo plan requires a lot of planning and motivation. Just taking the Paleo diet food list to the grocery store is enough to have most of us running for the door. Eating out on the paleo plan can get quite taxing because All of the ingredients and cooking methods need to be checked. Although weight loss is not the sole purpose of the Paleo diet, returning to normal, modern eating can lead to weight swings. All yo-yo dieting promotes an initial weight loss of both muscle and fat but usually ends with a weight gain of mainly fat which can lead to a slower basal metabolic rate and increase insulin resistance which in turn, leads to unstable blood sugar levels. What do you mean this diet is difficult? Yeah, I know Moose, all diets are difficult. They wouldn’t have the word die in them if they weren’t! Pursuing the Paleo Diet can be pretty expensive. This is partly because some good sources of protein, like soy and beans are not allowed. In fact a lot of the foods on the Paleo diet list are more expensive than main street shopping alternatives because they all have to be totally organic. If you think organic foods are expensive … ask yourself, what cost for your health? Yeah, it’s carzy when a burger costs $0,99 and a salad $4,99 in the same fast-food restaurant. I hate it when I think I’m buying organic and I get home and discover they’re just regular donuts! New Evidence of Paleo Talking Moose! New evidence has come to light, based on the discovery of ancient cave paintings that suggest the early ancestors of the amazing talking Moose can be traced back to the Paleolithic era. 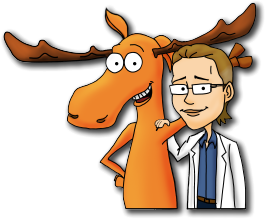 Archaeological researchers and anthropologists alike, suggest that it is certainly possible that the talking Moose encouraged Paleo man with jokes and motivational hints that were ‘instrumental‘ in the evolutionary process! Aw Shucks! That is too cute! Thanks Guys. Becoming a Paleo person has been one of the most exciting things I have done in my whole life. After spending quite a long time looking at the theory behind the Paleo diet, I was instantly hooked. In layman’s terms, The theory behind the Paleolithic diet claims that since we, as humans, have evolved over many, many years the diet that led to that evolution will still be the optimal one for us today. The above theory did make sense to me and I was keen to try it. I have struggled with weight gain for a long time and an unhealthy Westernised diet hasn’t helped so I decided to take the Paleo leap. I also had some skin issues that may have been allergy-related and so I thought that maybe the more organic Paleo diet, would help with this. Later on, I found out it was actually the solution to my life-long eczema. As a new-found paleo dieter, I did indeed feel like a warrior. We are against conventional wisdom and with the current world wide obesity rates, we can’t be that wrong. When I told my family about my diet changes they were quite surprised and I did face some opposition. However, the goal of improving my health, to me, proved to be more motivational than the opposition. My plan was to quit eating all non-paleo foods cold turkey. I was tired of the negative health consequences that I thought may have been caused by eating processed foods over the years. In addition, I was doubtful that the foods I had been eating were providing me with the necessary nutritional requirements my body needed. I knew from the research I had read, that I would lose weight on the Paleo diet given the fact that vegetables – which make a large part of this diet – are low in calories. Breakfast #1: A lean Chicken Burrito with spinach and avocado. Breakfast #2: Eggs with mixed vegetables. #3 Breakfast : Scrambled Eggs and a bowl of assorted fruit. Lunch #1: Generous portion of nuts with chicken salad. Lunch #2: Steak, sweet potatoes and plenty of veggies. #3 Lunch: Salmon with avocado, tomatoes and onions. Dinner #1: Beef with Broccoli. Dinner #2: Spaghetti squash with beef and vegetable sauce. #3 Dinner: Tomato soup with a cup of peanuts – not the most popular Paleo meal out there, I know. It is around six months since I took up the paleo eating plan and my eczema has totally disappeared. I also lost around 10 pounds in the first two months. Every day I feel more motivated and have more energy. Furthermore, I have also started a paleo exercise program and have even hired my own personal trainer for a few weeks to give me that encouragement. I have made a lot of new friends, through the online Paleo community and we discuss all sorts of issues relating to the highs and lows of the paleo lifestyle. In conclusion, I am very proud to have taken control of my life for the first time. How would you know if someone’s on the paleo diet? A Vegan Diet: Is it for you? Alkaline Diet: Does it lead to Weight Loss? Very similar in some ways to the Paleo diet the theory of avoiding acid foods for weight loss and health.